This topic contains 1 reply, has 2 voices, and was last updated by admin 1 year ago. Also, I completed your demo and the submission was pretty slow. Is that unavoidable using the plugin? Yes, the plugin can send the signed PDF to the client. The speed depends on the size of the PDF, the smaller the faster. Our new plugin, E2Pdf is faster. 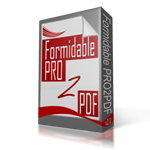 If you purchase PRO2PDF you’ll also be eligible to receive E2Pdf at no additional charge. Let us know if you have any additional questions or if we did not fully answer the questions above as we remain at your service.